This wedding checklist is going to be your best friend over the next year and change. It will offer great advice when you need it, ideas when you’re lost, it’ll listen when you want to vent (and won’t talk back) but most of all it will calm any frantic nerves that creep in as your big day approaches. Sounds pretty sweet ehh?! I’ve pieced this list together from various sources both online and off – through my own experience as a groom and a wedding photographer as well some wedding vendor friends. Like my wise grandmother always told me, it’s the gettin’ goin’ that gets ya. 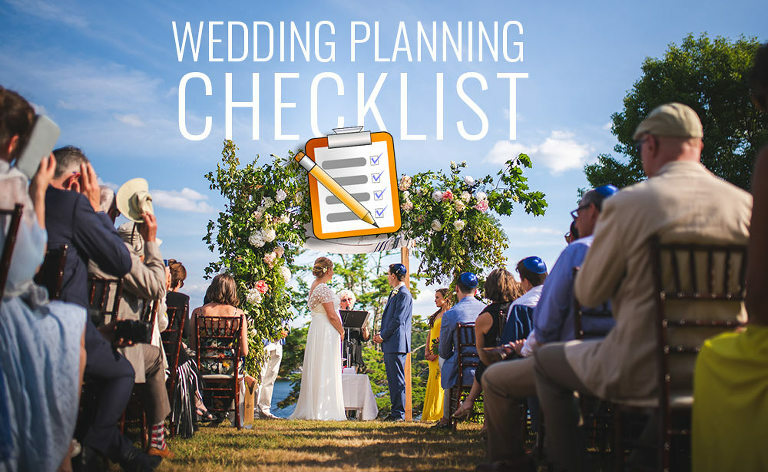 So we’re going to time-chunk this wedding planning checklist together! I’ve broken down key areas to consider along your planning journey and tossed them into their own “when-should-I” bucket so you’re not overwhelmed by everything all at once. Let’s time-chunk it out. Quick tip before we dive in… along the way be sure to consult with your vendors. When you hire great wedding vendors they become an invaluable resource of knowledge. Great vendors love sharing their wisdom! These are in no specific order because everyone will place a different value on the following points. These are however, crucial first-steps in getting the ball rolling. Select your date: Start with your desired season Summer, Fall, Winter? Or perhaps a special date in your history as a couple. Research your wedding venues: Venues book up fast, especially the popular ones. If you’re flexible with Friday or Sunday wedding dates then you’ll have more options. Saturday dates naturally book well in advance. This past year I actually had 2 Thursday weddings simply due to scheduling. Create a wedding Pinterest board: Dive into the deep end of Pinterest, there are so many ideas you’ve never heard of just waiting to inspire you! Create your budget: Nobody enjoys this one, nobody. However it’s so important to plan ahead. Figure out what is most important to you about your day and how it may impact your budget ie. Balancing a large guest list with cost per plate? How important are your photos? Research key wedding vendors: This will vary with each couple but it’s important to understand that like popular venues, great vendors book very early in the process. For example, my average booking lead time is 14-18 months. Create a wedding website: This will be a great way to share your story and a valuable resource for your guests. This is the time to lock down your favourite wedding vendors. I’ll say it again because this point can’t be overlooked – most of the best wedding vendors will book early. Waiting any longer than this time frame may mean your favourite vendors will already be booked up. Of course, everyone will have their priorities in terms of vendors so again these are in no particular order. Do your engagement photo session: Doing your engagement session early allows the planning process to leap forward in the feels department. It also allows you to get to work with your photographer well in advance of the wedding and get great photos that you can use for Save the Date cards, invitations, your website as well as displaying at the wedding itself. The fine-tuning begins at this stage, less decisions More doing. Create your wedding day timeline: Work with your planner and/or photographer. They can provide you with valuable advice in this area. We’re at the half-way point! Everything starts taking shape as you get together with vendors to get everyone on board with your vision. Now let’s fine tune the details. Eeek! Just one month to go however after all your careful planning up to this point, it’s just a matter of confirming everything. Final dress fitting: Bring maid of honour to learn how to bustle your dress. Create a morning-of itinerary with times each vendor is to arrive, duties for those family/friends helping out. Create a Go Bag: Get together the little things you may need ie. needle/thread/scissors, straw for drinking and not messing up your lipstick, blotting papers etc. Your Maid of Honour will be on-call duty with the bag of necessities. Leaving for your honeymoon right after your wedding? Begin packing now. Get travel items purchased and ready. Create your family photo list for your photographer: This is typically your parents, grandparents and siblings formal photos taken following the ceremony. Schedule a final timeline call with your photographer: Nailing key moments on the wedding day is the whole point for your photographer, so having the timeline of events nailed down will help your photographer anticipate and be ready for those moments. Start checking the final To Dos off each list. Just one day to go before showtime, the culmination of this entire checklist! This is your green light to let go of everything and enjoy the anticipation of the day to come. Practice your 1st kiss: Sound weird? Make your 1st kiss as husband and wife a smooth experience in front of all those guests. Lots of practice, you’re welcome fellas. It’s here! You’ve planned everything and you have amazing vendors doing what they do best… now is the time to let go and let the day unfold before your eyes, not your clipboard. Introduce venue coordinator to your maid of honour and best man: let them be your contact for reception questions or problems. 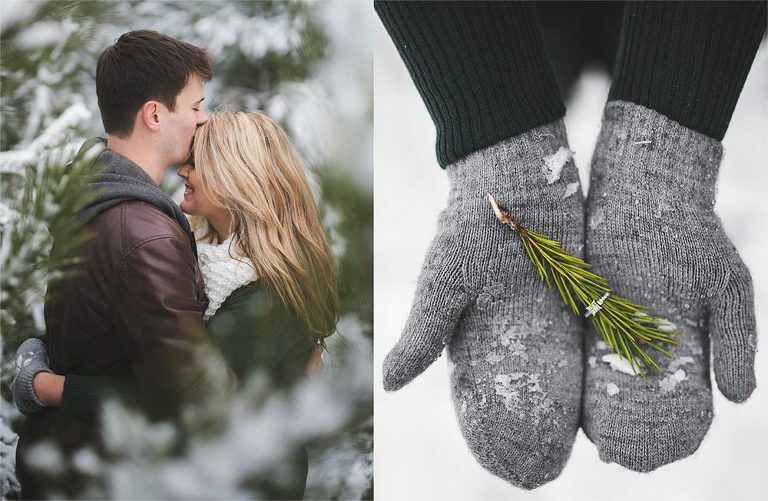 As a photographer and past groom, I know how difficult it is to plan your wedding. To help out, here are some guidelines and resources to help you through the process. As a wedding professional with years of experience, I've seen it all! Whether you're looking for the best vendors or needing help with your wedding day timeline, I'm here to help you through the process.